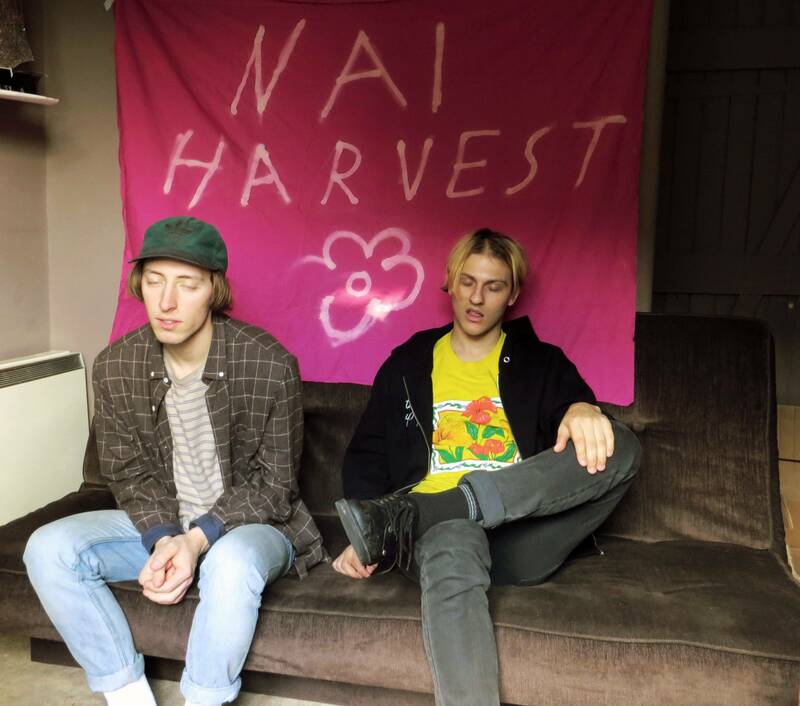 The boys from Nai Harvest, the UK-based indie duo of Ben Thompson & Lew Currie, were nice enough to share their latest tune off Flower a 12″ split with label mates Playlounge. Since the release of their debut full length Whatever back in March of 2013, NH has gone under quite the face lift, making the progression from “emo revival” punksters to grunge dripping 90’s influenced shoegazers. The latter can be heard on their most recent and highly successful Hold Open My Head EP released via Dog Knights (UK) and Boston’s very own Topshelf Records. Buttercups follows the same transitions meandering through distorted gritty power chords, crashing symbols and atmospheric overtones all sandwiched together by Thompson‘s hallowed vocals and impassioned lyrics. The track leaves us with a warm glow under our chins and a sweet taste in our mouths. Look out for these two in the near future!